Join us March 11th - 13th, 2016. Robyn Hood is an international presenter in Britain, Australia, Europe and Africa. Presenter at the Western College of Veterinary Medicine, APDT and CPDT accredited conferences. Do you love interacting with animals? 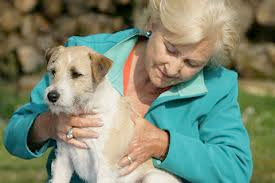 Would you like to have a better relationship with your animal, one based on mutual respect and clear communication? Why Use TTouch for Companion Animals? Stress Reduction: Recognizing the signs of stress and helping to alleviate both the physical, emotional, and behavioral consequences of stress. Building Confidence: How to help an animal cope with new environments. 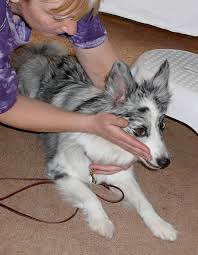 TTouch offers positive solutions to common behavioral and health-related issues which include inappropriate aggression, separation anxiety,excessive barking, chewing, jumping, leash pulling, resistance to grooming, shyness, nervousness and thunder phobia. or email us at info@woofsnwags.ca.